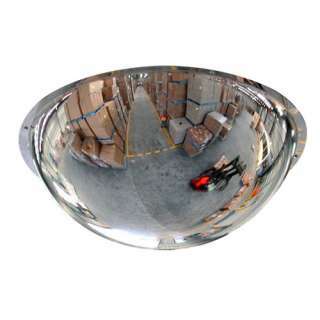 DuraVision™ Indoor Acrylic Convex Mirrors are an excellent way to prevent shop theft and accidents in the workplace. 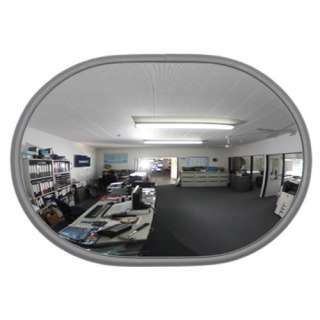 The Convex Mirror Shop has a wide range of circular and dome shaped mirrors which are specifically designed for monitoring problem areas. 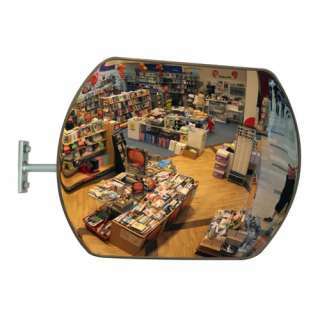 By preventing blind spots and difficult to see areas, convex security mirrors give staff or store security the ability to covertly keep a closer eye on customers or visitors. 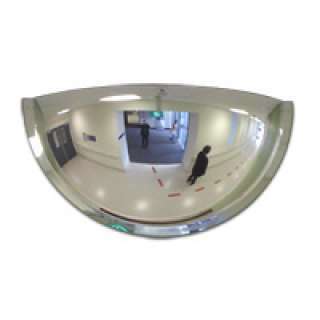 Convex safety mirrors can also help to prevent collisions in warehouses, garages, hospitals or any other buildings with busy corridors and passageways. The Indoor-Outdoor Acrylic Convex Mirrors come complete with a fully adjustable mounting bracket which is designed to give the best optimal viewing angle in specific areas. 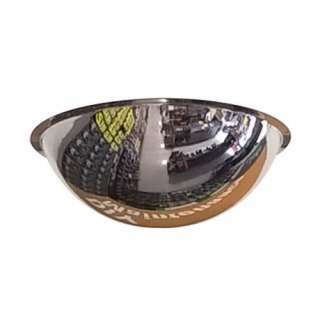 For wide angle viewing, the Ceiling Dome Mirror, Wall Dome Mirror and Corner Dome Mirror are ideal in open areas above aisles and shelving and visitor reception areas. 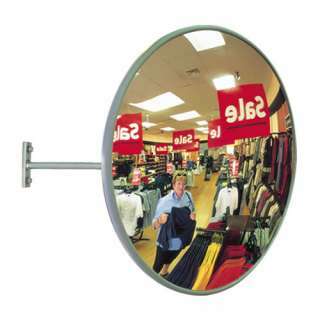 This very versatile acrylic convex mirror will adjust to any angle to allow an optimal line of sight and can be positioned wherever vision is obstructed by shelving or partitions. The Indoor Space Saver Mirrors are discrete and can be used where a less visually intrusive method of surveillance is required. The rectangular shape is also ideal in buildings with low ceilings. The Indoor Economy and DeLuxe Flush Fit Wall Mirrors are a cost effective way to obtain a wide area view of an entire room when there is limited space. The Indoor Ceiling Dome Mirror is an effective convex mirror to view a wide area, due to its large 360 degree area of reflection. Ideal for large retail stores and factories. The Indoor Half Dome Mirror is wall mounted to enable views both left and right at T-Intersections. Position at the end of corridors and above shelving. 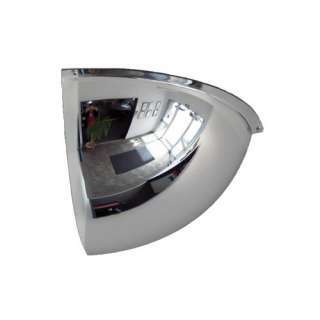 DeLuxe Half Dome Mirrors are designed for T-intersections to help avoid collisions. The back and lid enclose the cavity so that dust and garbage are not left inside. This ceiling mounted mirror is ideal at 90° right angle corners where space is limited in corridors and passageways. 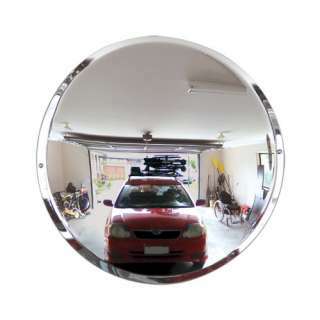 Garage Parking Mirrors will effectively improve visibility and safety for narrow parking spaces in home garages and multi level parking lots. 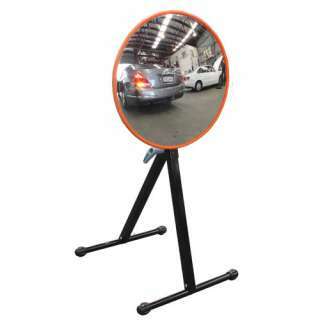 The Portable Mirror with Stand is lightweight and easy to position for temporary viewing in hard to see areas. 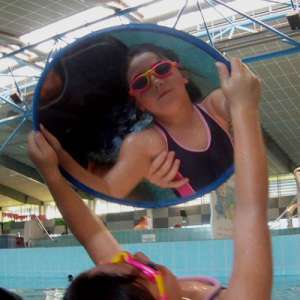 The 16" water tight Learn to Swim mirror is a great teaching aid for swim instructors and ..